My Favorite Feature: Fantastic, magical, mesmerizing photos. This book is meant for being paged through at leisure. Drinking in the colors and the people and devouring the food and the architecture with your eyes. My Thoughts/Review: This is the kind of book that I can gaze at with dreamy eyes for hours. I want it displayed on my coffee table for guests to enjoy. 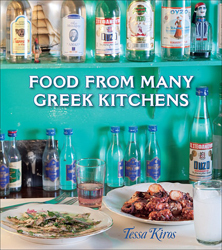 With an introduction to familiarize you with Greek letters/symbols and their pronunciations and meanings and a glossary of common Greek ingredients/food words, you'll be itching to turn the pages and feel your salivary glands begin to tingle. There is not one single thing that I do not love about this book. Grecian scenes, landscapes, people, and tablescapes. 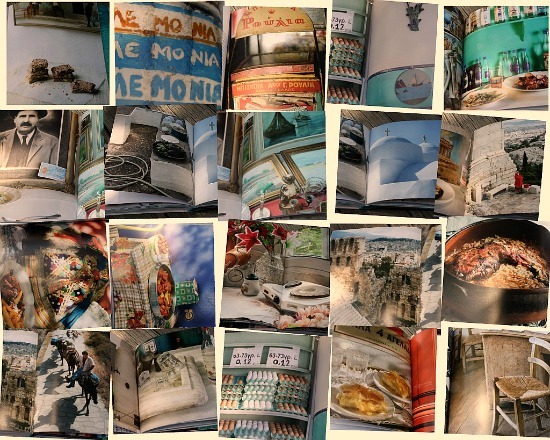 Recipes and photographs that transport you to another land. Unless, of course, you live in Greece. And if that's the case, color me jealous. Mmmmmm...some melopita would be delicious right now. I love Greek food. Such a great review, I now want this cookbook! I have her book Apples for Jam and I absolutely love it! I must check out this one as well! Definitely my kind of book too Heather!! !I am sure the recipes are fantastic as well. I would be captivated by all those beautiful photos. I'm one of those people who picks recipes by the appeal of the picture. I would love to browse through this book. I love Greek food. This sounds like a great book. This book looks amazing for the photos and the recipes...something for my birthday list, I think! Thanks for the tip! Look how beautiful! I could dream over those photos for hours. And the recipes you listed sound wonderful. I love cookbooks that combine beautiful photos of the country and culture with great recipes. I feel the same way about books by Tessa Kiros, her others are just as lovely. I have this one on order, can't wait. The pictures alone make her books fantastic. Other than spanakopita, I really don't make Greek food, but I'd like to add this ethnicity to my repertoire, so I appreciated a glimpse into this book, and your thoughts on it. Thank you.